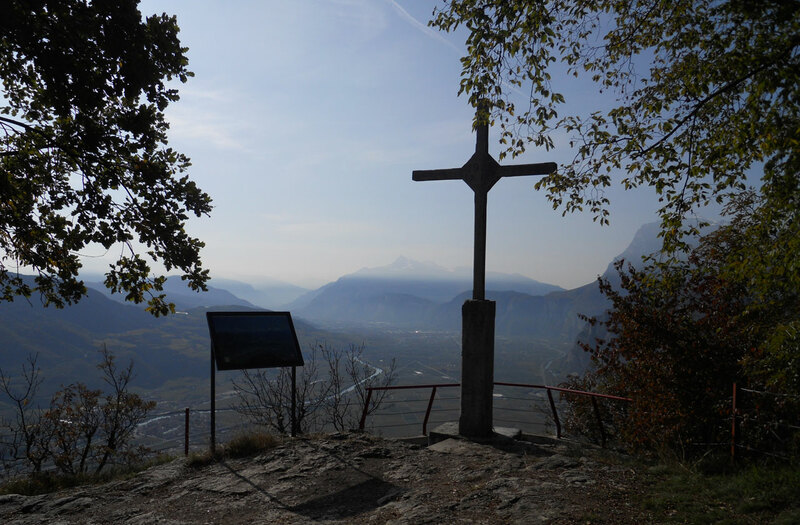 For lovers of the bicycle, the Rotaliana Plain is crossed by the beautiful bike path that traverses the entire length of the Trentino along the Adige Valley from north to south. Behind the village of Mezzocorona Mezzocorona mountain rises imposingly , which offers different itineraries for mountain lovers, from simple walks to climbing routes such as the famous Giovanelli Ravine. For the laziest, the Mountain can also be reached by cable car which departs from the town of Mezzocorona. At 900 meters of altitude there is a wonderful plateau with a spectacular view of the "Most beautiful grapevine garden in Europe" as the Rotaliana plain was defined in 1905 by Cesare Battisti. For more information on routes www.pianarotaliana.it, where you can find everything that the Rotaliana Plain has to offer. A few kilometres from Mezzocorona you can visit the Istituto Agrario di San Michele, an important winemaking centre, and the Museum of the usages and customs of people in Trentino www.museosanmichele.it. Also of importance are the exhibitions and events related to the Teroldego Rotaliano D. O. C. , and the wines and gastronomy of Trento. For more information see the website of the Wine Route and Flavours of the Rotaliana Plain (Strada del Vino e dei Sapori della Piana Rotaliana), to which we are associated.